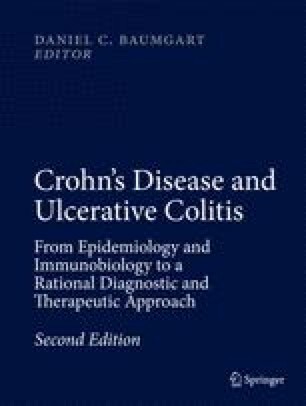 This chapter reviews the management of infectious diseases in IBD patients. This is important because IBD patients, particularly those on combination immunosuppressive therapies, are at higher risk of infection. These infections and the associated morbidity can have a significant impact on both quality of life and long-term survival. It is important that IBD patients are educated about infectious disease risks and recommended to present early for medical review if they have a high fever or other signs of illness. The ideal time to fully evaluate IBD patients regarding infectious diseases is at diagnosis, prior to commencement of significant immunomodulatory therapy. Specific infections reviewed in this chapter include: viral infections (e.g., herpes zoster, hepatitis B, EBV, CMV, influenza); HIV; enteric bacterial infections (e.g., Clostridium difficile, Campylobacter and Salmonella species); tuberculosis; and parasitic and fungal infections. Some of these infections are vaccine preventable diseases (VPD) and the specific immunizations to consider in IBD patients are discussed in detail. This includes the immune response to influenza and pneumococcal vaccines, which may be diminished in patients on immunosuppressive therapies. It is important in all IBD patients to review the past immunization history and consider if any “boosters” or additional vaccines are recommended as per local guidelines. All inactivated vaccines can be administered to patients with IBD, but if they are on immunosuppressive therapies, caution needs to be taken with “live” vaccines, which include measles–mumps–rubella and varicella (chickenpox). The use of new vaccines such as the human papillomavirus (HPV) vaccine, herpes zoster and meningococcal vaccines is also discussed. An ongoing risk assessment for screening and treating underlying infections is crucial in IBD patients, as well as a detailed immunization plan to help optimize protection from VPDs. Implementation of these preventative strategies will have an appreciable impact on the well-being of all IBD patients. A/Professor Kristine Macartney acknowledges Donna Armstrong, Edward Jacyna, and Catherine King for assistance with preparation of this chapter. Gupta A, Macrae FA, Gibson PR. Vaccination and screening for infections in patients with inflammatory bowel disease: a survey of Australian gastroenterologists. Intern Med J 2009. doi: 10.1111/j.1445-5994.2009.02114.x [Epub ahead of print]. Greveson K, Shepherd T, Mulligan JP, Hamilton M, Woodward S, Norton C. et al. Travel health and pretravel preparation in the patient with inflammatory bowel disease. Frontline Gastroenterol. 2015. doi: 10.1136/flgastro-2014-100548 [Epub ahead of print].